THE summer clutch is back! Oh my goodness! I just about hit the floor when I saw this image pop up in my feed. This bag has been out of stock for MONTHS. MONTHS I am telling you! How do I know this? Because I have been trying to buy it for AGES. It is finally available again and the sun is shining, folks. 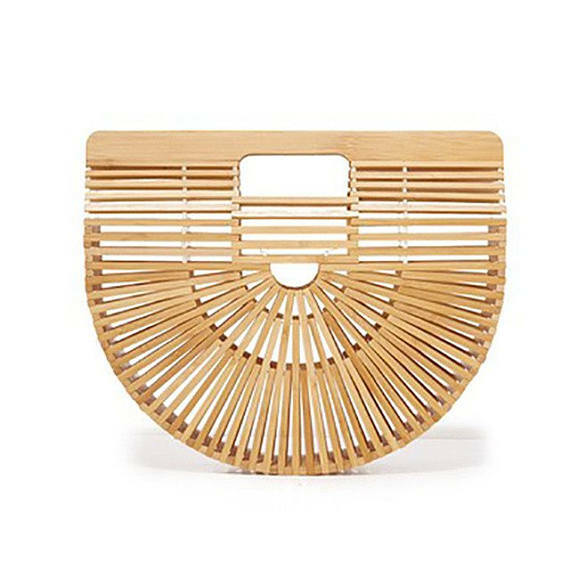 The Summer Beach Bag / Half Moon Purse retails for $73 and is worth every penny. It goes with everything! I have seen fashion bloggers rock it with just about every look. Believe me, you will be able to use this all spring and summer long this year and beyond. Act now while there is still stock left.